I offer these documents because fellow victims like Just Me, Moby, Sally, ij and bubblebustin have shared their experiences on both the Isaac Brock Society website and/or on Jack Townsend’s Federal Tax Crimes Site. Their experiences in OVDP and OVDI and their ideas have helped me immensely. I was all alone and learned so much from them. I also much appreciated the supportive comments of Michael Miller. I cannot thank them enough. 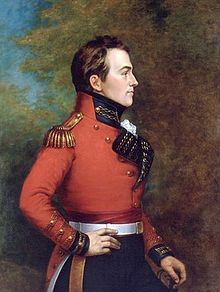 I would also like to thank those who have published information or made comments on Isaac Brock. Even if it has not always been directly related to my ordeal, it was helpful in understanding the big picture. Hopefully, by sharing my experiences, others will benefit. The OVDI process was entirely unnecessary and a waste of my time and money. After 30 months and excessive legal costs, I ended up in the same place I would have been without entering any Voluntary Disclosure Program. I filed amended returns, had an examination and was able to argue reasonable cause. The IRS wasted lots of money and time to collect my $133 a year. The costs of the Taxpayer Advocate Service were additional public costs that were caused by inappropriate IRS policy. Furthermore, I incurred high legal costs and had to live with undue stress, as I was treated in the same category as criminals who had intentionally evaded taxes. Nina Olson runs a tight ship at the Taxpayer Advocate Service. Her staff helped me to understand and feel less stressed and they were extremely conscientious as well. Congress made a good decision when they created the TAS and they could Not have a better person to lead it than Nina Olson. I am extremely grateful to Nina, her Senior Attorney Adviser and my Case Advocate. The issuance of the TAO changed my life for the better as the IRS finally started to move on my case. The IRS policy of “one size fits all” was totally misguided. However, there are good, highly professional agents out there who are aware of this and will use the small amount of discretion they are given within the program. I think there is an unannounced policy within the IRS that one size does not fit all anymore. Outside of OVDI, examiners have more discretion, and the regulations in the IRM can work in the favor of most minnows. The worst part of OVDI for me was dealing with tax professionals. The lawyers I dealt with made me feel like a criminal and ran up excessive fees. My experience with my IRS Revenue Agent was a lot more pleasant, While I think it is a good thing to get legal advice on your options and about the strength of your opt out arguments, ultimately, I did not see the need for extensive legal advice. Run from any lawyer who tells you that a Voluntary Disclosure Program is your only option, and that there is no negotiation. The IRS needs to develop a better way to assist US person foreign residents to come into compliance. While the Streamlined Program is a start, the rules are confusing and unclear to both those inside and outside the IRS. The Streamlined Program needs to go further! Its rules need clarification and communication. The Streamlined Program could also be extended to immigrants to the US. I have signed documents allowing my data to be used by the Taxpayer Advocate in the next Taxpayer Advocate Annual Report to Congress (ARC). Hopefully, this data, along with that of others can motivate the IRS and/or Congress to take action to fix the problems created by the OVDI/P approach. I am grateful for the comments on this blog from other OVD victims and people who wanted to help. You saved me. Thank you and it is now time to move on. @Chris – I agree with you about that blog. There are only two comments about opting out on that blog. I have tried to help in my little way, too. I mentioned immigrants in my main OVDI Odyssey narrative. They are mentioned in my conclusions. It is not much, but I felt I had to say something about benign actors other than Americans abroad. I said the same thing Nina says. Part of the reason I wrote my OVDI Odyssey is to help you, yes you, to be less afraid. I wanted to give some details about what really happens with an agent as well as give some reasonable cause arguments that might be useful. The timid desiways group seems pretty benign to me so I hope they do not just bend over and take what they get in OVDI. They need to recognize that the OVDI process is a problem. Maybe they will see something they can use to help themselves in my documents. Yes, thank you so much for having described your Odyssey. Yes, it helps to see positive outcomes. Thank you also, for mentioning immigrants in your conclusion. I am personally less afraid about the financial consequences if I am audited than the possible consequences on my immigration status. I am happy to see that Nina still advocates for this issue to be addressed, but it might be too late for me, because of the go forward approach I chose to take. when I file next year, I will be good from a tax SOL point of view. At this point, I don’t know that I will want to come forward with any other program they put in place. The question is really how do they treat people who did not come forward with these disclosures. If audited, are we going to be treated more harshly because we did not participate in these programs. The IRS says so. Jack Townsend says that the result of Opt Out audits or regular audits should be the same. We don’t have any data on people who got audited outside of OVDI/Opt outs, except for the whales who did and got indicted. @Chris – You highlight the main problem with the entire OVD approach. You were afraid to amend past returns due to the huge penalties and not entering an OVD program. It is not illegal not to enter an OVD program, amend returns and argue reasonable cause if you have to. Because the IRS equated all benign actors with criminals, they created unnecessary fear and they hurt themselves in the process. Not only did the IRS lose out on revenue because people thought they could not correct simple past omissions without facing huge fines, but the damage to the relationship with taxpayers caught in this situation was immense. Any belief in a well-working system or process was lost and replaced with fear and anger. Ultimately, after 29 months, I was in an audit situation that I could have had 29 months before. I would have presented the same data I had presented 29 months before. Yes, I was back where I started without the protection of OVDI. Did I really need to go through all of OVDI and what it entails? No. I like the picture in the Taxpayer Advocate 2014 Objectives Report that came out (sorry I called it the 2013 Report in a previous comment) in which a benign actor = a bad actor. This policy is what needs to be changed. Once that is done then the destructive relationship that is created between the taxpayer and IRS will change a lot and more people may chose to comply. I had a long discussion today with a Reporter for Tax Analyst who is doing a story on the OVDP/I. As part of my discussion I very much stressed the immigrant situation as the black hole of penalty extraction with very little light escaping for detection and discussion. I hope it helps. I also sent her a followup email with the Amy Feldman link, and IJs and Mody’s story, so doing what I can. I wished we had more information, but as I have said, I am pretty sure fear of jeopardizing visa status drives a lot of these benign actors to just accept the penalty extraction without a word or push back. I doubt there are very many IJs. Sad sad sad, wrong wrong wrong! I hope Nina’s latest gets some attention from those in Congress investigating abusive practices. I kind of doubt it, but you can only hope. I probably will do some more emails and tweets. Thanks so much Just Me. I also feel like a coward for not facing the consequences of my mistake and taking the “minimal approach” as Jack puts it. IJ and Moby’s situation were different. IJ had already taken US citizenship and his main risk was the amount of the in-lieu of penalty being 12.5 or 27.5% depending on whether they included or not his RRSP. And Moby had already left the country by the time his ordeal was over if I remember well. For those needing to stay here, we feel like we don’t have that much choice. I have a lot of anger for the accountant and lawyer who told me that I was putting money before my US family with the “risk” I was taking by not entering OVDI. That I should empty my 401K to pay for this so that I’d be certain of being able to stay here. I was in tears in their office. I hated them and I felt miserable and powerless. That’s when I touched the bottom and even thought of suicide. And I live everyday with the fear of what might happen should I be audited. I am paranoid with the latest surveillance scandal, to the point where I even fear being hassled at the border the next time I reenter the US, with the IRS being aware of this website, and having labeled us as “crusaders” (see Blaze’s post on maplesandbox), as I am sure it’s pretty easy to figure out the identity of those who post here. Do you need to be able to travel to the US? @WhiteKat, I am a green card holder living in the US with my American wife and 2 kids. So yes, I visit with my family overseas once a year. … my mistake, I thought you were living in Canada. My OVDI Ordeal is over – for the most part. I recently got the last of my refund checks. I spent a grand total of 1025 days, or 2 years, 9 months and 20 days in the system. What a waste of time and money. Hopefully, the protests I made, letters I wrote and the signing of releases of my data so it can be presented to Congress will help someone else. I also filled out a survey for the IRS. They really want the feedback. They sent me 3 letters telling me the survery was on its way and encouraging me to fill it out, which I did. In one way it was difficult as the survey only asks about your examination. I felt the examination was very professional and that my agent respected me. However, the entire OVDI program has been poorly thought out and administered and was inappropriate for minnows. So I filled out the boxes that were clearly related to my agent positively and for anything else I slammed the IRS and wrote copious comments. Will it help? Who knows? At least I tried. Oh and by the way, just to show you how little they understand about taxpayers overseas, they sent me an envelope that was postage paid only in the US. Again, if they IRS wants international taxpayers to be compliant, they should treat them like they exist and are respected. The lack of international pre-paid mailings is just another manifrestation of the lack of recognition of the IRS of the circumstances of Americans abroad. I am still stuck in IRS limbo with respect to one thing. The IRS could not decide if one of my accounts was a trust or not. They said they will need to make a Revenue Ruling on this type of account as millions of people have this type of account. So maybe they will come back to me in several years and tell me (and the millions of other people) that we all have to fill out 3520 forms. However, my agent very graciously acknowledged that I would not be subject to fines because even the IRS did not know how to treat the account. I wonder how they will treat the multitudes of other taxpayers. I have to go finish my tax return for this year now. After lots of simplification (closing PFICs at loss), its now down to 46 pages for the same income I declare in 3 pages in my country of residence. I have a really simple situation and I do not see how the US declaration can ever be fewer pages than this. Oh, by the way, I owe -0-. During your ordeal, did your IRS agent ever want to see your home country’s tax returns for the eight OVDI years? Yes. When I opted out, the agent wanted them for the years that were still open. In my case, I had 3 years still open. So three years were supplied. Before I opted out, they were not requested, but then again, I opted out as soon as I had contact with the agent. I should also add the reason the agent wanted them was as part of the opt out audit, which I did not find to be that intense. The agent already had all the documents on my passive income from the OVDI submission. I think the agent was looking for proof of earned income and total taxes paid. I guess they want to verify that you’re telling the truth. By why wait til opt out to double check your honesty? Did the IRS promise you a cheque for X amount of dollars to reimburse your penalties then request tax returns? As I said, I opted out in pretty much my first contact with them. They asked for SoL extensions by mail so I called them and pretty much told them in that conversation that I was opting out. I felt that my agent was also steering me toward opt out in that conversation so that could be the reason why they waited as it was less work for them due to the closed years in my opt out. The agent then told me an examination (audit) would be done and sent an iIDR (Information Document Request) and the proof of foreign income and taxes paid was requested in that. As for penalty refunds, I was promised them at the time my agent informed me that my case was being closed, well after I sent my foreign returns. My agent was nice as normally they send one check for every year of refund. The agent promised one check n total to me and arranged that. In the end, it did not work out and I got two checks, I had to fight with them for the second check due to a processing error, but I got it 5 months after the case was closed. Thank you, NotThatLisa! Congrats on your nightmare ending and making it through alive.